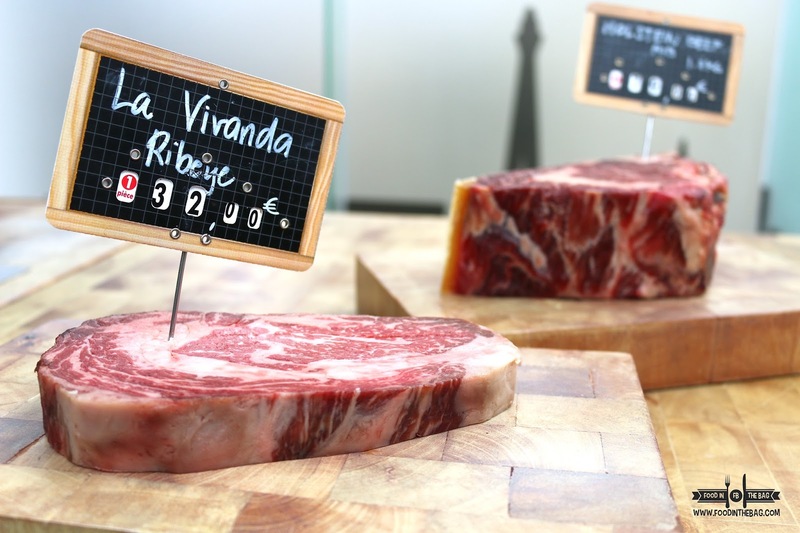 ATELIER VIVANDA in BGC: More Than Just Steaks. 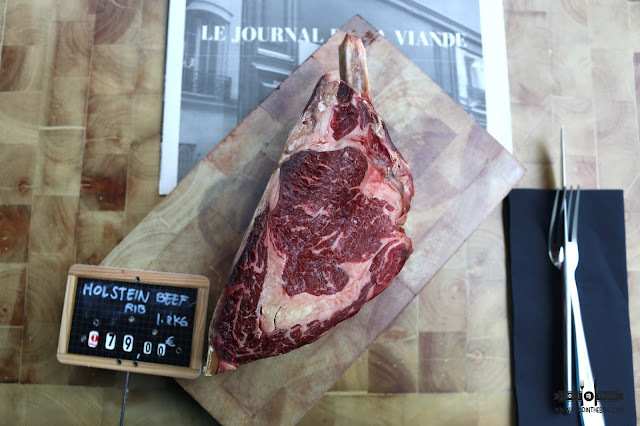 Imagine a huge slab of meat greeting you as you enter a restaurant. One of the first thing that you look at when you enter a restaurant is the menu. 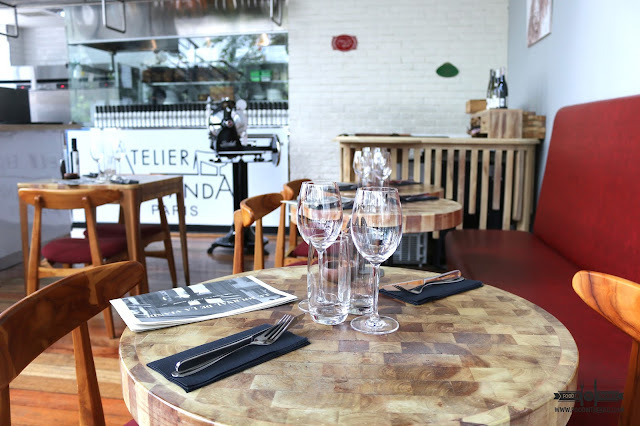 At ATELIER VIVANDA, theirs is a simple and straight forward. They bring out an uncooked piece of meat to make you salivate and order everything on sight. Located in Forbes Town Center near Burgos Circle, ATELIER welcomes you with warmth and an amazing ambiance. A circular staircase leads you to the second floor where a private room is also located. Atelelier Vivanda does pretty well in the starters section. For soup, the pumpkin and the cauliflower are excellent choices. Not too creamy and has texture. 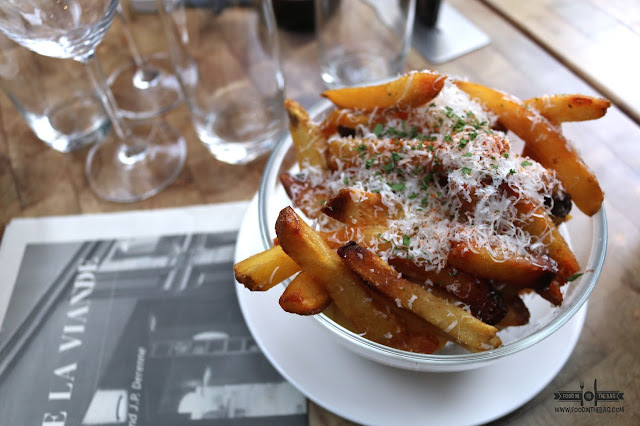 Two must order dishes would have to be the TRUFFLE FRIES and the MUSSELS. 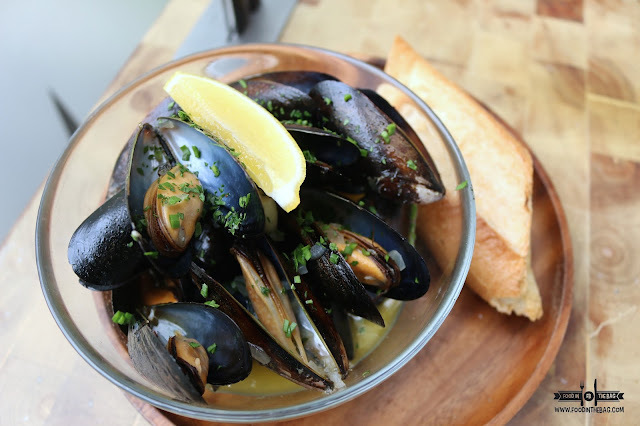 In true French fashion, the mussels were cooked in white wine, herbs and garlic. Partner it with bread and you have a great dipping experience. More so when you do it with the Fries. Cheesy but not too much, the Fries are excellent finger foods while waiting for the other dishes. Mains are the star of the show but side dishes are the supporting cast. 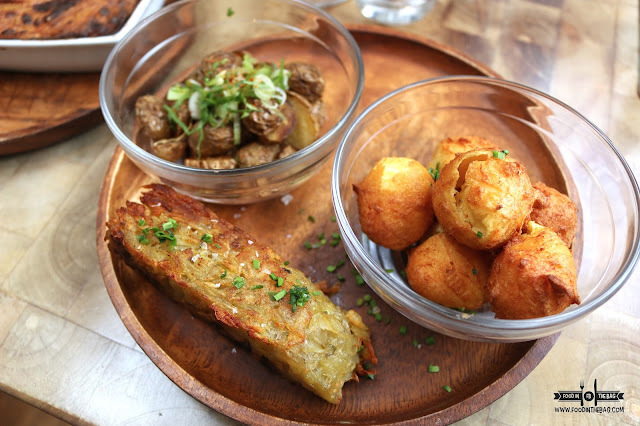 Guests could opt for a sampler of three different accompaniments. The staff suggests sauteed potatoes, pommes darphin and pommes dauphines. The Pommes Dauphines are crowd favorites. These crisp potato puffs are a joy to eat. The darphin is like a hashbrown. Strands of potatoes are mashed together and deep fried. 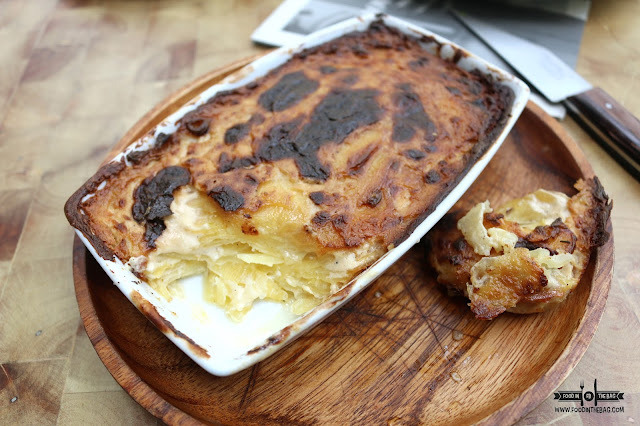 If there was one side to pick, it must be the GRATIN. The layer upon layer of potatoes are nicely stacked together with a bit of cream. It makes everything delicious. 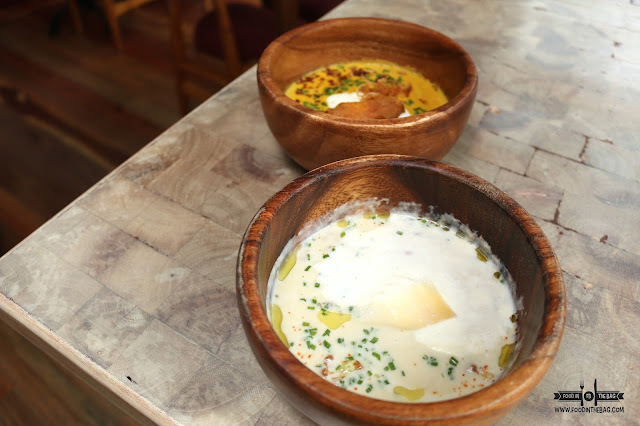 Surprisingly, ATELIER VIVANDA has a plethora of main courses. They offer duck, seafood and even LAMB. 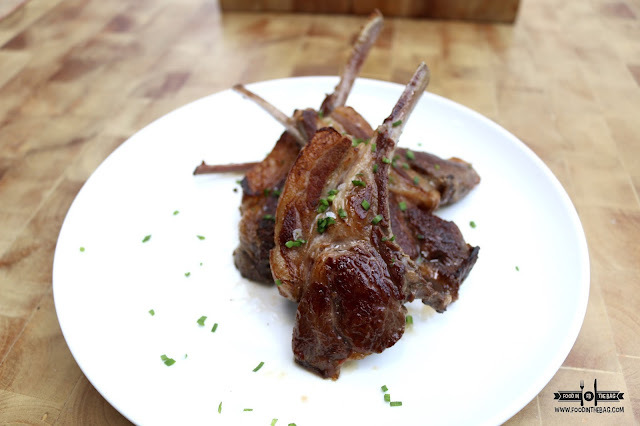 The grilled lamb is simple. Cooked with a bit of oil, there was a hint of gamey flavor in it. The kitchen must have wanted to bring out the natural flavors of the meat. 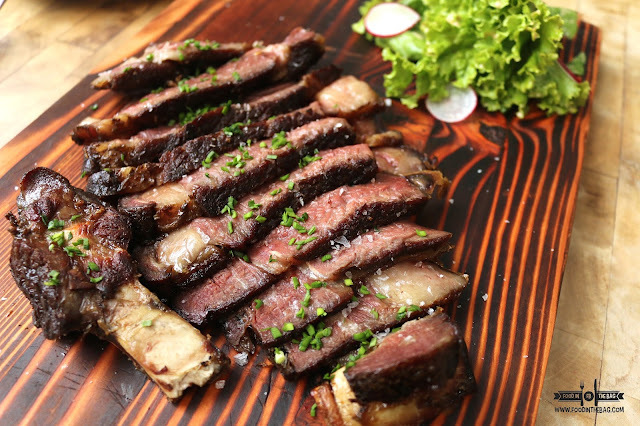 The HOLSTEIN BEEF RIB would be your top choice. Steak is steak, as one friend would say. This was served huge and juicy. There was a bit of drippings still coming out. Once it was placed on the table, patrons would smell the richness of this dish. This is definitely for sharing. Admittedly, the price point is a bit on the high side. This is expected as steak is not an everyday meal. The service was attentive and on point. It was also good to note that they started serving lunch meal sets to entice the public to give them a visit not just on special occasions.